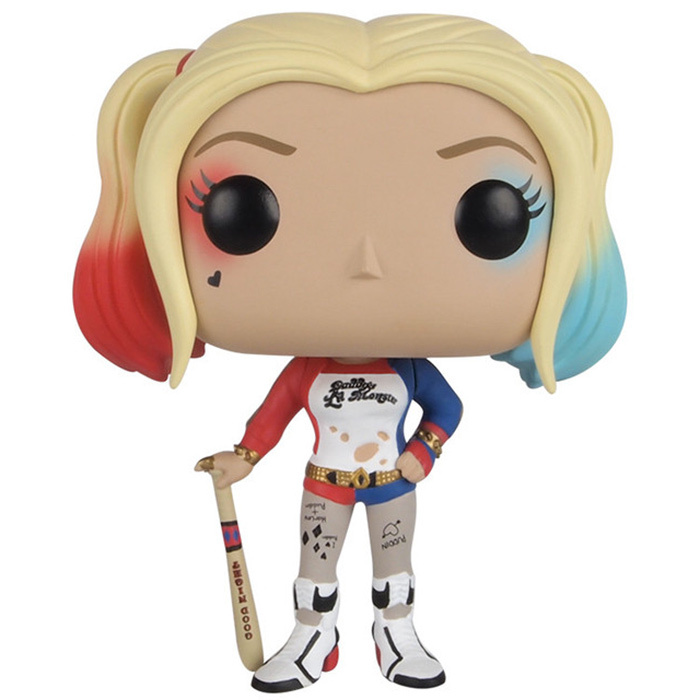 Are you interested in the Harley Quinn pop (Suicide Squad) Funko Pop figure ? 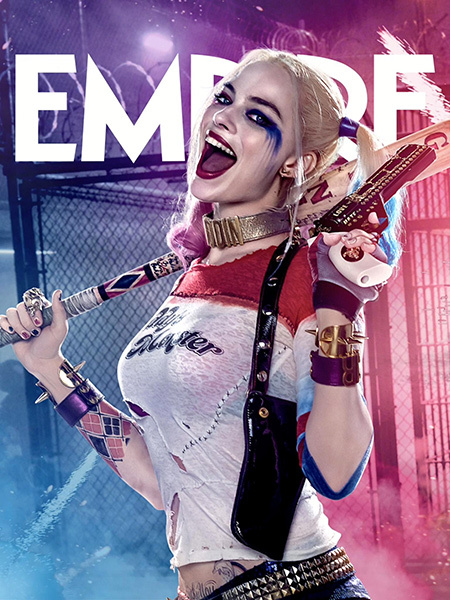 Harley Quinn is one of the main characters of the Suicide Squad DC Comics as well as the movie adapted from it. She used to be a psychiatrist at Gotham's asylum where The Joker was a patient. But she ended falling in love with him and when she tried to help him break free, she also ended up a patient at the asylum before being sent to prison. 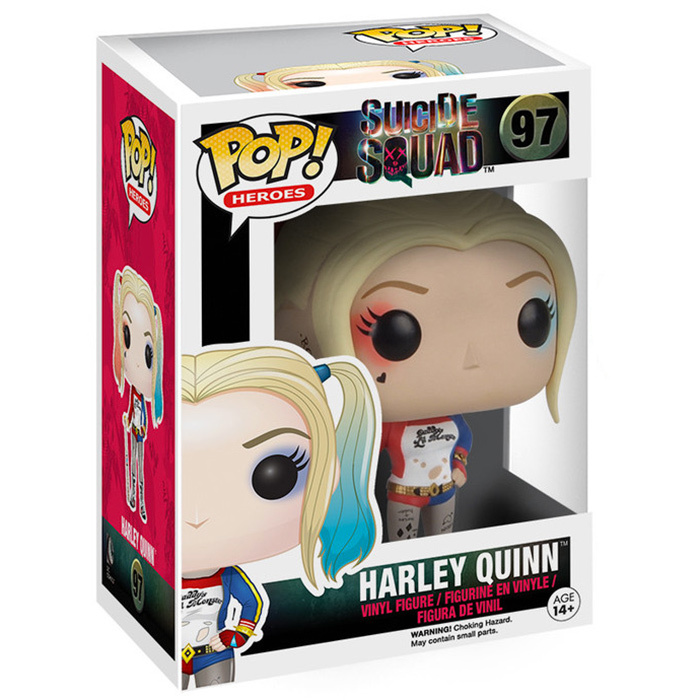 Harley Quinn is especially agile and has a good knowledge of martial arts. She's also well known for her enthusiastic and strangely fun personality. In Suicide Squad, in exchange for a reduced sentence , she agrees to become part of a secret government team along with some of Gotham's worst criminals to work on very dangerous and sensitive missions. In Suicide Squad, Harley Quinn doesn't wear her usual black and red costume from the comics but a more modern and realistic outfit. Her clothes are still mostly bicolor just like she likes it. She's wearing a mini red and blue short with a matching bomber and a golden belt. With that she's wearing big white sneakers and childish tattoos on her thighs and legs. In her left hands, she holds the baseball she uses as a weapon in the movie. As for the head, you can see the matching blue and red make up on her eyes as well as the small hearth tattoo under her left eye. 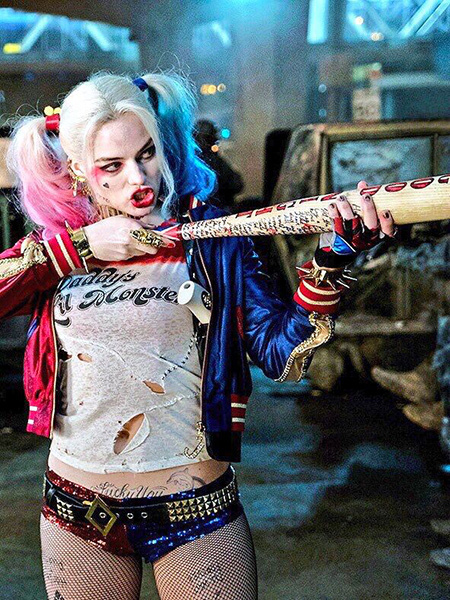 And of course, Harley Quinn has her blond hair partly dyed blue and red on the tips.